Saudi Crown Prince Bombshell To Jewish Leaders: Palestinians Must "Accept Peace Or Shut Up"
Saudi Crown Prince Mohammed Bin Salman (MBS) issued a stunning and unprecedented rebuke to Palestinian leadership while speaking to US Jewish groups in the midst of the prince's American tour last month. 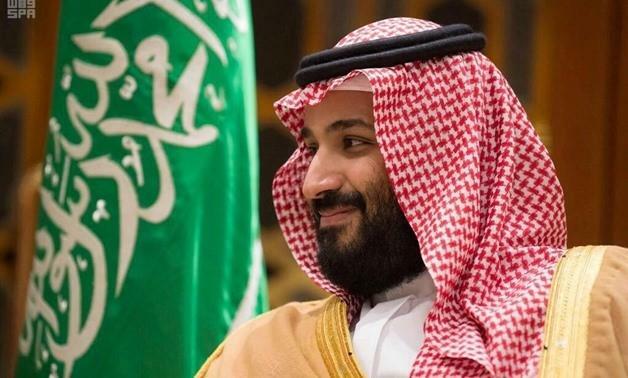 MBS reportedly told the heads of Jewish organizations in a closed-door meeting in New York on March 27th that Palestinians should either accept peace proposals or "shut up," according to Axios. Multiple diplomatic sources, including a leaked Israeli foreign ministry cable sent from the Israeli consulate in New York, confirm the statements which shocked the audience to the point that "people literally fell off their chairs." The unexpected words came just as the Trump administration is reportedly finalizing its long-vaunted plan for Israeli-Palestinian peace, drafted under the leadership of Trump's senior adviser and son-in-law Jared Kushner and special envoy Jason Greenblatt, and after tensions were inflamed with Trump's official recognition of Jerusalem as the capital of Israel in December. "In the last several decades the Palestinian leadership has missed one opportunity after the other and rejected all the peace proposals it was given. It is about time the Palestinians take the proposals and agree to come to the negotiations table or shut up and stop complaining." Since Saudi Arabia's founding in 1932 and subsequent diplomatic embroilment in Israeli-Palestinian matters, especially after the Jewish state's establishment in 1948, it has staunchly been on the Palestinian side (though often merely from a distance), accusing the Israelis of genocide and expansionist aggression against surrounding Arab nations. As a charter member of the Arab League it actively fought against the establishment of Israel, and also voted against the original U.N. Partition Plan for Palestine. The Saudis sent troops to fight on the allied Arab side in multiple conflicts with Israel, and the two have never had diplomatic relations. However, events in the region of the past few years such as the war in Syria, and related to this their common concern over Hezbollah and Iran's growing influence, has brought the two unlikely and strange bedfellows into a closer relationship, especially in the area of intelligence sharing and possible joint covert action in pursuit of regime change in Damascus. He made clear the Palestinian issue was not a top priority for the Saudi government or Saudi public opinion. MBS said Saudi Arabia "has much more urgent and important issues to deal with" like confronting Iran's influence in the region. But US-Palestinian relations are at their lowest point in many years, with the Palestinian Authority (PA) under Mahmoud Abbas currently boycotting the White House since the December 6th recognition of Jerusalem, and later plans to relocate the American Embassy there from Tel Aviv. Once the new White House peace plan is rolled out, if ever, it will most certainly be dead in the water from the moment it's publicized. At the same time ongoing protests in the Gaza Strip as part of the "Great March of Return" protests have resulted in immense Palestinian casualties — more than 40 dead and thousands wounded since March 30 according to Israeli media sources — with the vast majority killed and injured as a result of live ammunition used by Israeli security forces. So with Gaza currently inflamed, Palestinians will no doubt see the timing of Saudi crown prince bin Salman's words as the ultimate and final stab in the back — though the Saudis have already long been seen by Palestinians as compromised double-dealers, using their plight as a geopolitical chess piece only when convenient. Furthermore, the Saudis will now be perceived even more as a U.S. pawn (and thus Israeli pawn too) on the Palestine question — this as newly sworn in Secretary of State and former CIA Director Mike Pompeo flew to Saudi Arabia over the weekend in a hasty visit to cement the anti-Iran alliance while reinvigorating support for new sanctions against Iran. All of this will only serve to underscore Palestinians' perception that regional and world leaders will continue to merely pay lip service to any Israeli-Palestinian peace process as Iran has now fully taken front and center stage.